I am layman evangelist and open air preacher in Washington DC and member of and under the authority of the Pastors and Elders at Capitol Hill Baptist Church (CHBC). I have been a supernaturally born again Christian since around 2004, found out I was a Calvinist around 2008 and was re-baptized and became a member at CHBC in 2011. I started studying and practicing evangelism mostly online starting around 2005. 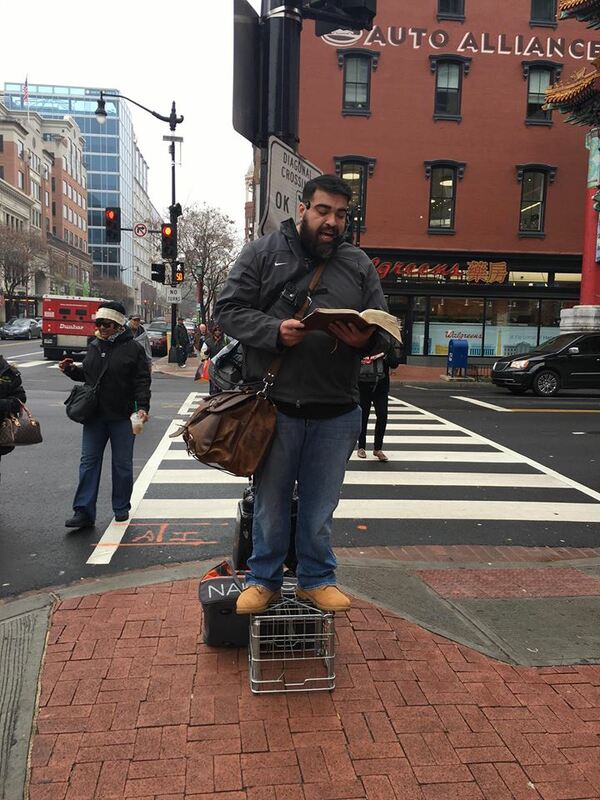 After witnessing to a cousin-in law, now a pastor in Florida, he started open air preaching on the streets of DC, and after many invitations, I finally joined him in 2007, and haven’t stopped since. I have personally spoken / witnessed to thousands upon thousands of people, and handled out tens and tens of thousands of Gospel tracts. 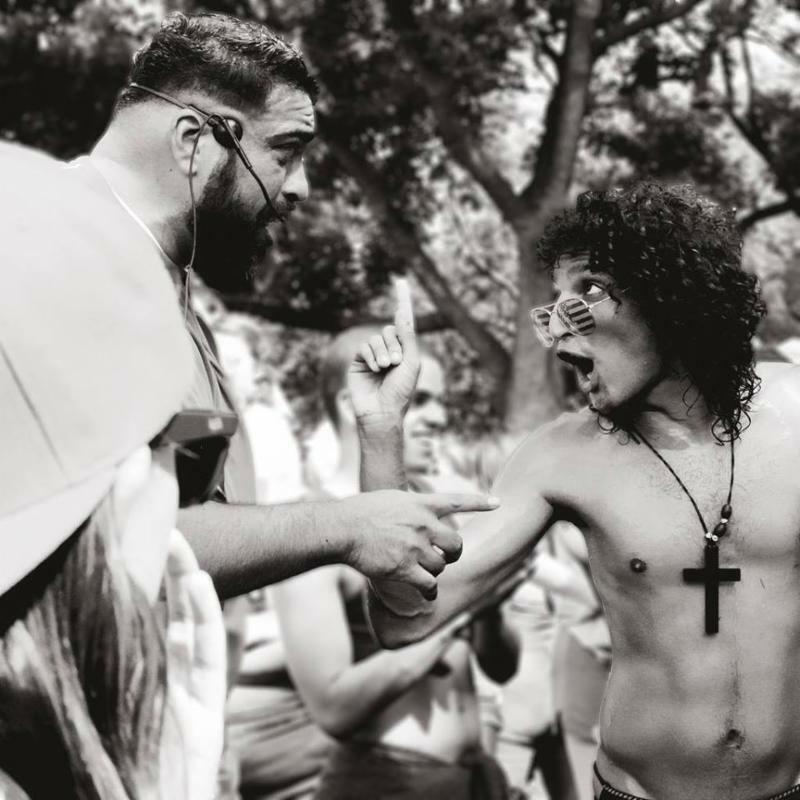 I have open air preached to all kinds people, always preaching a Calvinistic Gospel and Expository Preaching, with an evangelistic message, hundreds and hundreds of times. 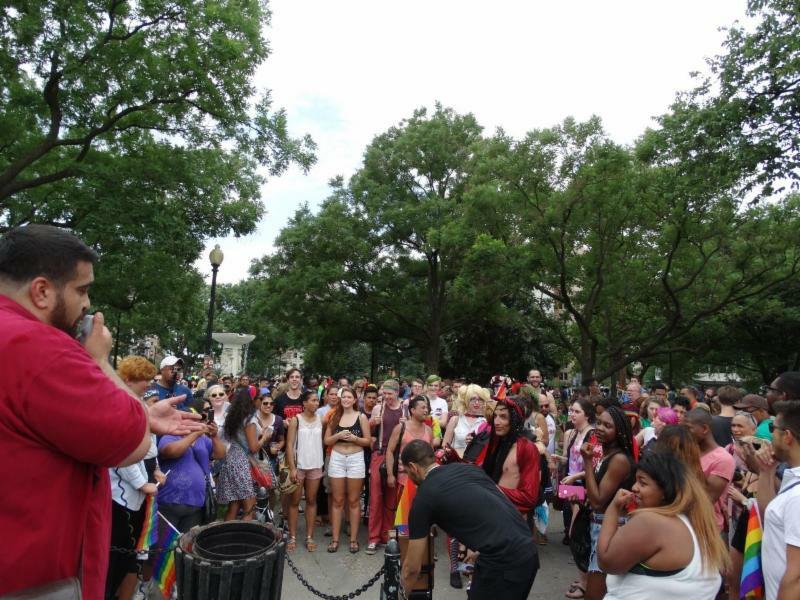 Preaching to the lost at Gay Pride in D.C.